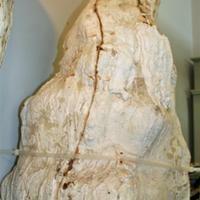 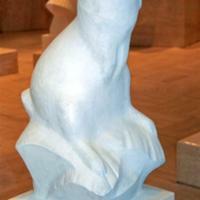 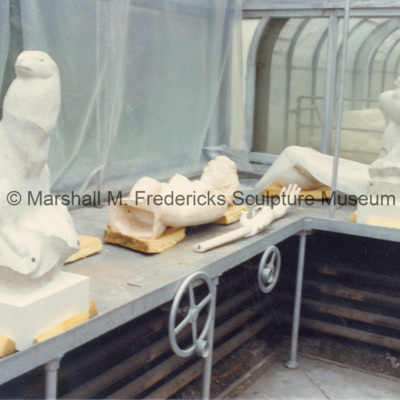 Plaster mother mold of Barbour fountain rabbit. 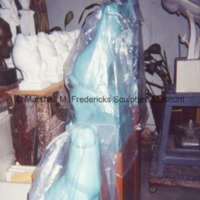 Three piece mold held together with [laster strips. 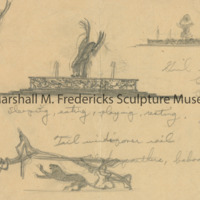 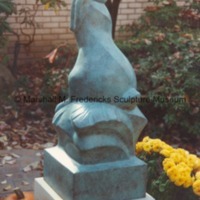 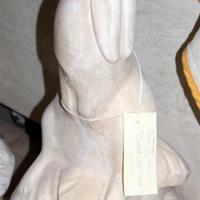 Written on mold is "Barbour Fountain Rabbit". 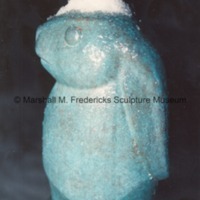 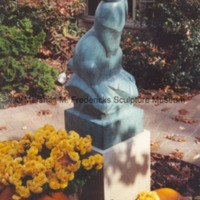 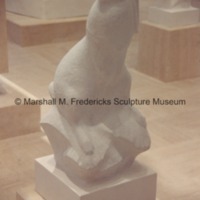 Bronze "Rabbit" with snow atop its head at an unidentified location, 1991.